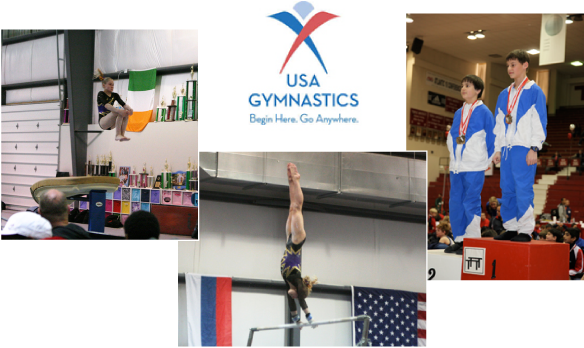 Gymstrada offer girls and boys competitive gymnastics from developmental through the elite levels. Our gymnasts follow the USA Gymnastics Junior Olympic Program, as well as train to compete in high school competition, and the VA All Stars Optional Program. Many of our gymnasts have become State champions, have competed in national and regional competitions, and earned spots on collegiate teams throughout the country. Information regarding the boys' and girls' competitive teams, along with their meet schedules can be found at the Gymstrada Parents Association website.